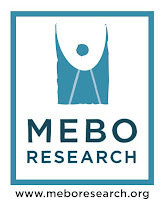 The MEBO Research community around the world is most grateful to researcher Professor Yoshika Sekine, for carrying out a much needed study into PATM and for publishing a paper on his findings (in Japanese). 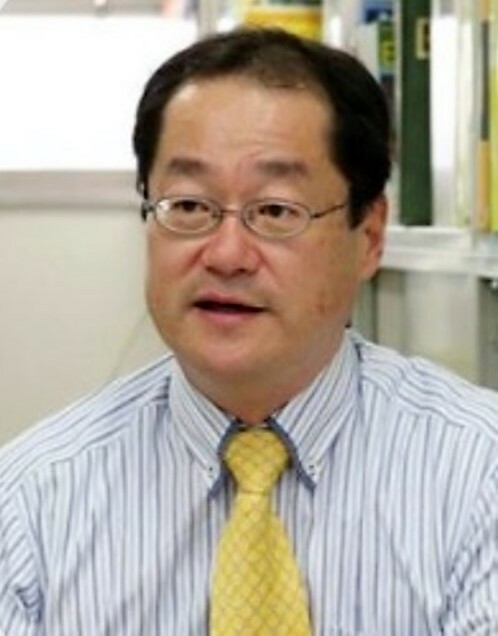 In addition, we are most grateful to Professor Sekine and his colleague, Dr. Yasuhiro Konishi, M.D., of the Konishi Clinic in Japan for presenting a classic case of PATM in the Japanese TV show "World Astonishing News", as noted in a post in this blog, "Japanese Study: Elevated petrochemicals in PATM". 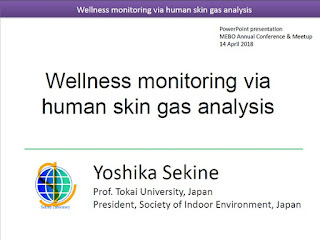 This research discusses the petrochemicals found in skin gas analysis of sufferers of this syndrome. You have provided our international community with information we can now use in our Raising Awareness Campaign, and for this, we are profoundly grateful! There exist some people who claim his/her body odor provokes allergy-like reactions of people in their near vicinity, which include sneezing, runny nose, cough, itchy eyes, and red eyes. Such a diathesis, called “people allergic to me (PATM)”, has been gradually recognized in other countries. However, the term “PATM” has been hardly heard in Japan, and there have been no reports focusing on PATM in academic journals so far. After receiving a request for advice from a male subject, we conducted a medical interview, measurement of trace gases released from human skin surface, measurement of volatile chemicals from the subject’s underwear, and microbiological test of the nasal cavity of the patient. The results showed that greater amounts of chemicals, such as toluene and xylene, were detected in skin-gas samples from the subject than in those from a control subject. Moreover, some chemicals, such as hexane, propionaldehyde, and toluene, which showed relatively high levels of emission from the subject’s skin, were also detected in the underwear of the subject. The microbial species that was isolated from the nasal cavity of the subject with the highest abundance was Staphylococcus epidermidis (Bacilli; Bacillales), which is known as a resident skin flora. In addition, Arthrobacter phenanthrenivorans (Actinobacteria; Micrococcales), which releases a ditch-like smell, was cultured on isolation medium, and its presence might have a relationship with the PATM condition. Furthermore, Rhodotorula mucilaginosa (Basidiomycota; Sporidiales), which is a fungus that is known to cause red water scale in bathrooms/washrooms, was isolated from the nasal cavity of the subject. To the best of our knowledge, the isolation of this latter species from the human nasal cavity has not previously been reported. Taken together, there is a possibility that PATM is not a product of patients’ imagination but represents a genuine disease that has yet-to-be-investigated. KAWAKAMI, Yuji & SEKINE, Yoshika & KIMURA, Keita & TODAKA, Michihito & ODA, Hisayuki. (2018). An exploratory study on "people allergic to me" syndrome based on measurement of trace gases released from skin surface and microbial species in nasal cavity of a patient. Indoor Environment. 21. 19-30. 10.7879/siej.21.19.